Tankersly’s own employees are so hesitant to speak that it seems they are operating more from fear than reason and professionalism. 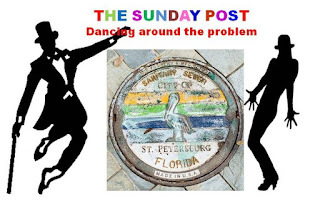 Once again, the bow tied festooned Claude Tankersly did a phenomenal soft shoe dance around the solutions to St. Pete's current and future sewage problems. All that was missing was the accompanying music. You can see the whole show at St. Pete City Council meetings Item 5 on the agenda. You can speed up your access by clicking on the 5th small dot on the video time line. Carefully chosen words and sentences with few facts and little meaning flowed like the crap at the height of the recent hurricane. Various council members attempted at sorting through the fog, but Tankersly managed a gentle soft shoe slide at every turn. His wastewater manager stumbled through a litany of poorly constructed answers to council questions leaving council members looking a little confused and a lot frustrated. About all one could take away from this sewage circus was that there may be a plan that is still not complete with lots of information being supplied by a number of sources that don’t seem to be coordinating with each other. Notably missing during the whole discussion was Mayor Kriseman whose political fate is uncertain if we get a sewage debacle repeat of this year during the next hurricane season. The Mayor has turned the whole mess over to Tankersly, who is almost sure to be the Mayor’s scapegoat when all of this goes south. Classic example is the appointing of a "communications officer Bill Hogan" taking the pressure off the mayor's office and Ben Kirby the Mayor's spokesperson. It seems that Kriseman is isolating this whole problem from his office and establishing a collective group of people he can blame for any failures come election time. Nothing was ready for the meeting. Information was missing; a report on the interns was not available, the map of the sewer and radial relining “needed some tweaks” most of it was blamed on unnamed consultants. 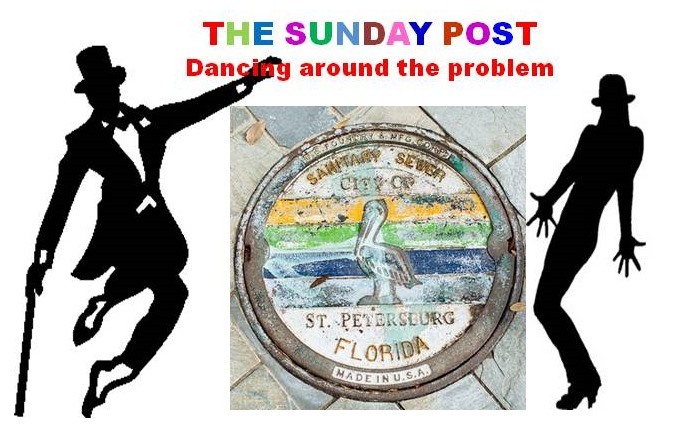 At this point, the question for St. Pete seems to be how much longer Council will put up with these sideshows from the Kriseman administration. Kriseman is providing little or no obvious leadership in this effort, and eventually it is going to catch up with him. If you want to follow the wastewater saga, you can follow it on Twitter @stpetepw this little show is costing you over $90,000 a year.